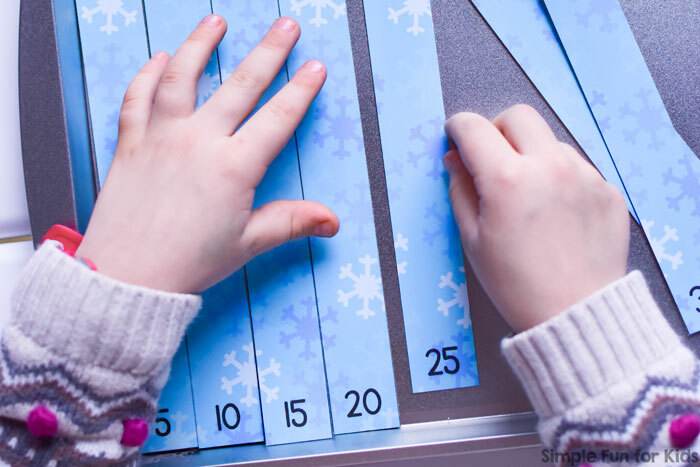 Today, I’m sharing a fun, wintery way to practice and explore multiples of 5 with this simple and cute printable Snowflakes Skip Counting by 5s Puzzle! 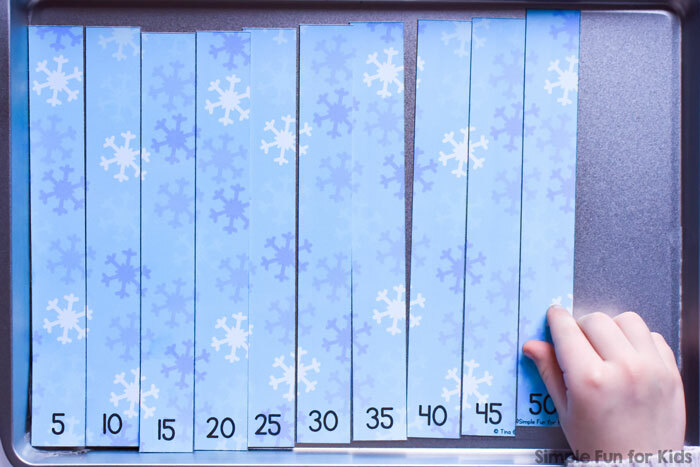 Paper (one sheet; heavy paper preferred). 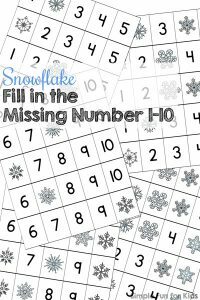 The free file below includes one 10-part line-up puzzle with snowflakes and multiples of five at the bottom of each puzzle piece. 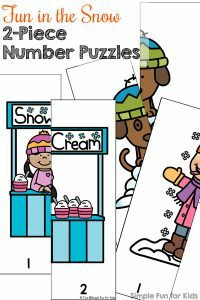 Putting the puzzle together is a great way of practicing and exploring skip counting by 5s. 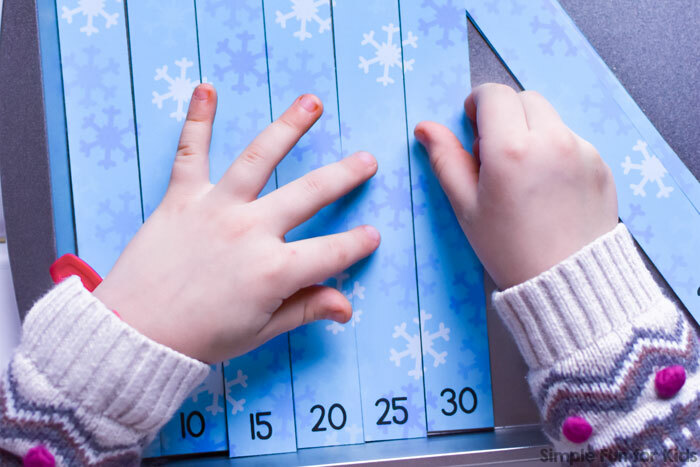 Print out the page, laminate it if you want greater durability and better handling, and cut the pieces apart at the black lines. 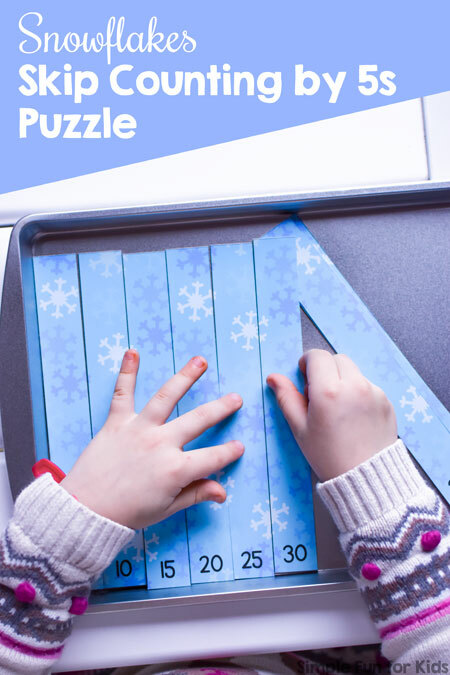 E put the puzzle together in a dollar store cookie sheet that was just the right size and worked great to keep everything in one area. If you’d prefer a different font and/or a black and white version, you can find both in the VIP file. Find out how to become a VIP member HERE. 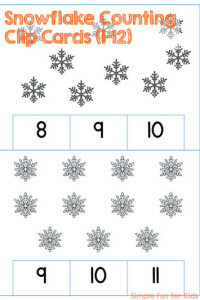 Download your free printable Snowflakes Skip Counting by 5s Puzzle! Or click here to see this page on my membership site and become a VIP member today! 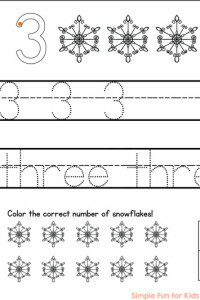 The VIP file includes an alternative font choice and b&w versions. 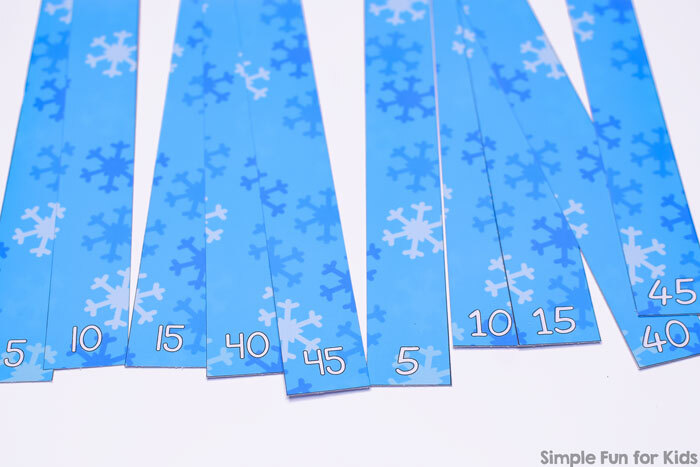 Are you looking for more on a snowflake theme?